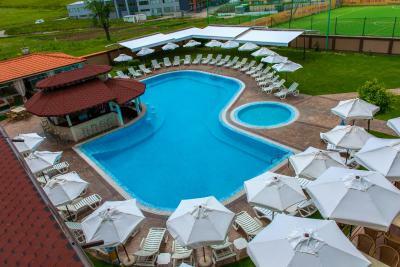 Lock in a great price for Spa Hotel Ezeretz Blagoevgrad – rated 8.2 by recent guests! The hotel was very good. The SPA was good but some facilities you had to pay extra. The massage center very good. They need to improve the bed comfort and the sheets. At the restaurant we had to wait 1 h for the meal. Otherwise everythjng was very pleasant. The staff very nice. Very nice spa center. Close to the city center of Blagoevgrad. Big pool outside and inside. Staff is friendly and very warming. Breakfast was good. Very nice and cosy hotel. Extremely kind and helpful staff. The place is great with unique Spa and staff. Room service was also great. Will definitely visit it again. 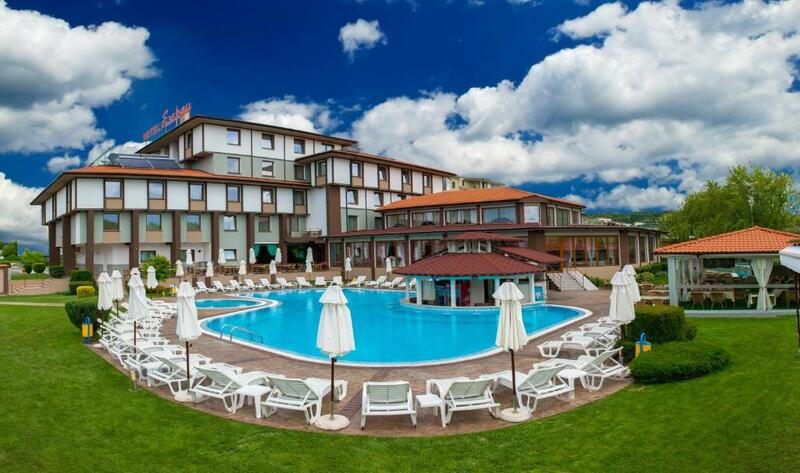 Warm and comfortable rooms, pleasant view and excellent SPA center! Recommendation for massages and all other spa procedures. Very good breakfast, delicious and plentiful. Grind coffee and good desserts. 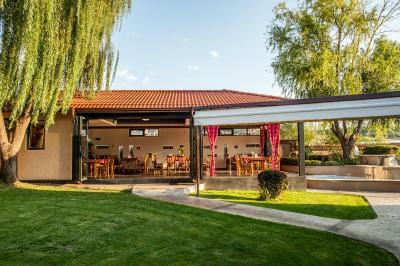 The restaurant has well prepared menu list and specialities. Special program friday night Location is easily accessed trough highway. Good location, comfortable rooms, pool with pool bar, nice spa inside, nice restaurant, food and service. We had a very very good time. We loved the room with balcony, liked the breakfast offered, found the clean pool awesome, were amazed about the spa area and the massage. Also, the location of the hotel at the edge of the city was very nice. Blagoevgrad is a nice place and the Rila monastery closeby is stunning. The staff was friendly and polite. The area was quiet. 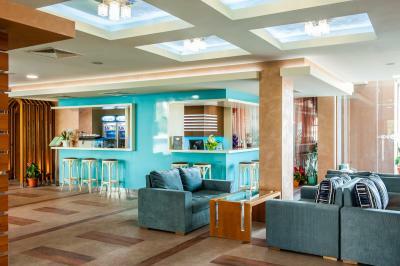 Spa Hotel Ezeretz Blagoevgrad This rating is a reflection of how the property compares to the industry standard when it comes to price, facilities and services available. It's based on a self-evaluation by the property. Use this rating to help choose your stay! 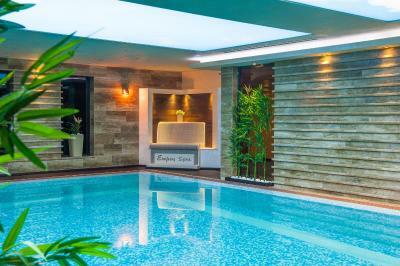 One of our top picks in Blagoevgrad.Located in Blagoevgrad, Spa Hotel Ezeretz Blagoevgrad features an outdoor and an indoor pool with mineral water, a spa center with sauna, a fitness center and an outdoor and indoor hot tub. Hotel facilities also include a restaurant with 250 seats, a conference hall, an aqua bar and a multi-functional stadium for mini football. At the hotel, the rooms are equipped with a desk. Each room is fitted with a private bathroom, and certain rooms have a balcony. 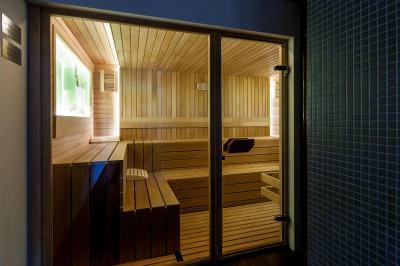 At Spa Hotel Ezeretz Blagoevgrad, all rooms include a flat-screen TV with satellite channels. Spa Hotel Ezeretz Blagoevgrad offers a children's playground. Speaking Bulgarian and Greek, staff are ready to help around the clock at the reception. Sandanski is 39 mi from the property. The nearest airport is Sofia, 68 mi from Spa Hotel Ezeretz Blagoevgrad. Private parking is possible on site at extra charge. 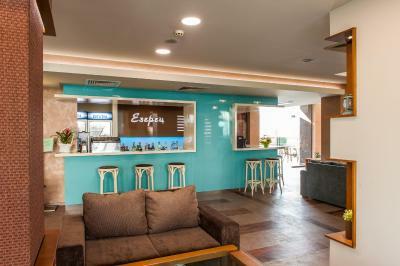 When would you like to stay at Spa Hotel Ezeretz Blagoevgrad? This single room has a private entrance, soundproofing and air conditioning. Private parking is available on site (reservation is needed) and costs BGN 10 per day. This double room features view and air conditioning. This suite has 1 extra large double bed and 1 sofa bed. This single room features air conditioning, bathrobe and view. This double room has a balcony, private entrance and sauna. This single room has a private pool, soundproofing and mini-bar. This double room features a pool view, bathrobe and air conditioning. 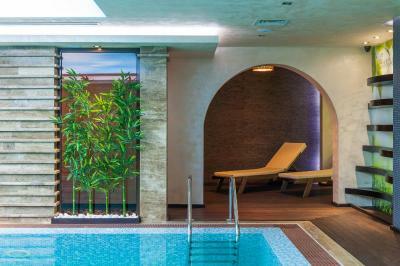 House Rules Spa Hotel Ezeretz Blagoevgrad takes special requests – add in the next step! Spa Hotel Ezeretz Blagoevgrad accepts these cards and reserves the right to temporarily hold an amount prior to arrival. Please note that a special New Year's Eve dinner is available in the hotel restaurant. Kindly address to reception for more information. The spa is great ,very clean and has everything a guest can wish for. The personal in reception and spa are very polite and helpful. Great breakfast. Terrible restraurant - all the time many groups, individuals are out of care. I waited meal more than one hour after order. They didn’t noctify about it at all. Breakfast starts from 8am in the weekends, but already a group had before the time, so the area was dirty & empted food, even staffs were vacumming at 8:10am. Even staffs were not able to speek English. Hard to communicate with them. Everything was Terrible!!! I’ll never go again! * The hotel is few kilometers away from the center and the park area, so we had to use the car instead of just going out and be close to the center/park. * The breakfast was included in the price for our stay, but it was really poor for 4-star hotel. * We've tried the deserts of the restaurant in one of the evenings and both cheesecake and French province cake were BIG disappointments. * On both, Saturday and Sunday, the restaurant could not be used during the evening, because there were wedding celebrations in it. No one has informed us about this inconvenience. * In the description of the hotel is mention that there is area for kids, but during our stay it was transformed in order to be used for putting more tables for the wedding celebrations. * The door of our bathroom seems to have a problem, cause it was really difficult to close it. * The sheets and the pillows (even though there were 6 pillows in a room for 2 adults and 1 baby) were one of the most uncomfortable ones, that I've ever tried. Even in the night when the lights were turned off and somebody touches them sparkles appeared due to the static electricity. * It was so hot in our room that even after turning the heating off, we had to open the window in order to be able to sleep. * When we arrived at the hotel, we parked our car in front of the hotel. When leaving it, at reception informed us that we need to pay 10 BGN per day for parking. This was not announced when we arrived, so we were really surprised. According to the hotel the outdoor parking (parking outside of the hotel barrier) was FREE :D (such a surprise), but the outdoor parking behind that barrier became paid. In our reservation it was written that the secured parking was caused 5 BGN and the answer from the reception was that the price is changed. In the end, they've returned us 15 BGN for the 3 days. Basic room. A bit outdated. The SPA center is very nice. The indoor and outdoor swimming pools. The Salt/Herbal room was not heated as the hotel was very empty at the time, however the staff did eagerly turn it on for us, even though it would take a long time to heat up.